Were you aware of the fact that not all garden weeds are bad? Most often than not, people tend to associate the idea of weeds with that stubborn pest that is hurting their crops and which they have to get rid of at all costs. In some cases, that is indeed true. There are weeds that can impede your plants’ growth, and that you should definitely deal with. However, some garden weeds are actually beneficial for the soil in your garden, and not only that. Let’s explore together 4 surprising facts that will question everything you thought you knew about garden weeds. What do we mean by that? Well, whenever the soil is not growing anything, nature interprets that as a warning signal that the topsoil might get eroded, blown, or washed away. That is precisely where the weeds come in. They help protect the soil and keep it safe for the next time you want to plant something in it. However, be careful, since not all weeds do this job right. If you notice poison ivy, sheep sorrel, or Johnson grass, you should remove them as soon as possible. Since no one is going to waste their time watering weeds, they have adapted so as to get every last bit of water available in the soil. That is why their roots can sometimes go up to 15 feet down. As they often touch underground water reserves that other plants can’t, they will spread moisture up, so that your crops can reach it as well. 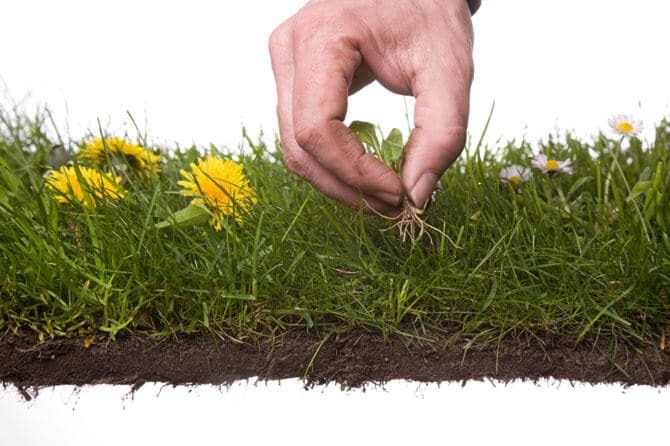 Moreover, if you turn the weeds under, all of the nutrients that they have collected will spread to the topsoil. Not only that, but they also tend to attract insects that are beneficial to your plants. They accomplish this in different ways. For instance, some insects may choose to attack them instead of your crops, or they might attract beneficial insects that will chase away the bad ones. So if you think about it, it doesn’t sound like such a bad idea to have some types of weeds in your garden. Finally, perhaps one of the most shocking discoveries about garden weeds is that they are safe to consume. Actually, they can be quite delicious if cooked properly. To that purpose, we suggest you take a look at Katrina Blair’s book The Wild Wisdom of Weeds. This book talks about no less than 13 beneficial weeds all around the world, that people can actually eat. These weeds are chickweed, clover, dandelion, mallow, mustard, grass, purslane, plantain, lambsquarter, thistle, amaranth, dock, and knotweed. You can purchase this book for over 100 recipes including the aforementioned garden weeds. We hope we have managed to surprise with these 4 interesting facts about garden weeds. If you have a garden and you struggle with weeds, you might want to do some research before eliminating them completely. Who knows, maybe they are actually safe to eat as well.